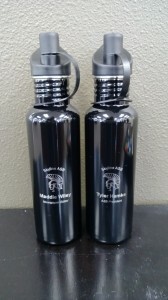 This entry was posted on May 28, 2013 by Jessica Anderson. 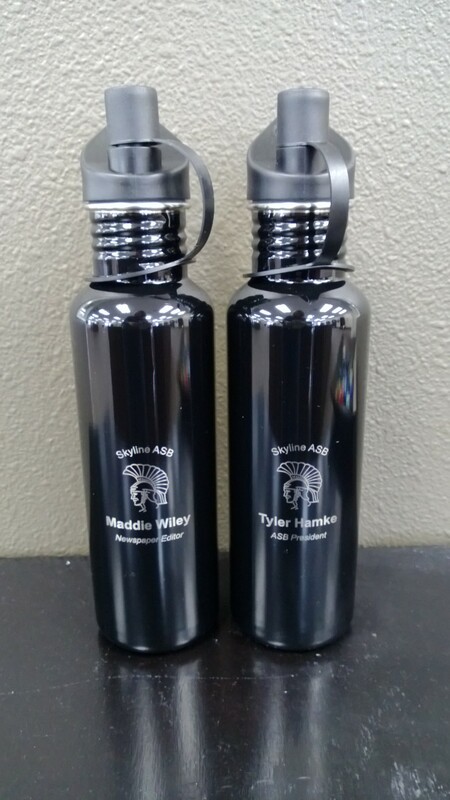 At Skyline High School, the ASB is recognizing their leaders with these cool Steel Water Bottles that have the school logo, their name, and the leadership position held. At Issaquah High School, they recognize students that have excelled in art, business, sports medicine, journalism and other areas with school plaques. We see plaques for Most Achieved and Most Inspirationalawarded in the music departments at many schools. These award winners are nominated by their peers. At Hazen High School, the staff awards the Spirit of the Highlander Award to students who do great things every day, but who sometimes fly under the radar. For example, overcoming personal difficulties, helping out classmates, making positive life choices, and academic improvement. 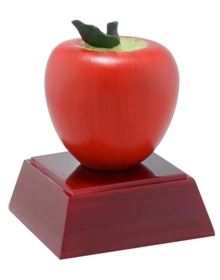 At Sunny Hills Elementary, they recognize Outstanding Educators with the Apple Resin Trophy. We update tons of plaques this time of year for Outstanding Educator and Outstanding Advocate. And don’t forget the volunteers with the Golden Acorn Award. Ribbons, pins and Certificates of Achievement are other great ways to recognize students, faculty and staff. Think about celebrating Perfect Attendance, Most Improved, Mathlete, Super Citizen and more. I even read of one school that awards the Custodians’ Choice Awards for cleanest classroom. Be creative. But most importantly, celebrate the end of the school year by celebrating the successes and achievements of all.